La Jolie Ronde's Feliz Navidad is a very popular primary resource to help teachers pursue the topic of Christmas plus background information on the festive season in Spain through a variety of activities. 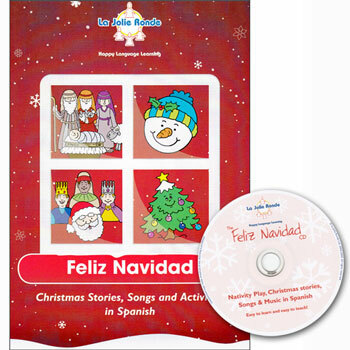 The activities are varied and can be used selectively with pupils in KS1 and KS2 (ages 4 - 11). The teaching resource book features stories, plays and scripts plus songs, craft activities, recipes, board games and puzzles. Photocopiable templates and activity sheets are also included helping to keep preparation to a minimum. Everything you''ll ever need for Christmas and ideal for the non-specialist teacher!